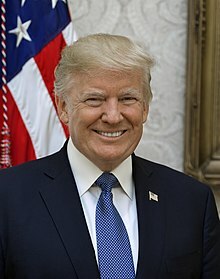 Donald John Trump (born June 14, 1946) is the 45th and current president of the United States. Before entering politics, he was a businessman and television personality. Trump was born and raised in the New York City borough of Queens and received an economics degree from the Wharton School. He was appointed president of his family's real estate business in 1971, renamed it The Trump Organization, and expanded it from Queens and Brooklyn into Manhattan. The company built or renovated skyscrapers, hotels, casinos, and golf courses. Trump later started various side ventures, including licensing his name for real estate and consumer products. He managed the company until his 2017 inauguration. He co-authored several books, including The Art of the Deal. He owned the Miss Universe and Miss USA beauty pageants from 1996 to 2015, and he produced and hosted The Apprentice, a reality television show, from 2003 to 2015. Forbes estimates his net worth to be $3.1 billion. Trump entered the 2016 presidential race as a Republican and defeated sixteen opponents in the primaries. His campaign received extensive free media coverage. Commentators described his political positions as populist, protectionist, and nationalist. Trump has made many false or misleading statements during his campaign and presidency. The statements have been documented by fact-checkers, and the media have widely described the phenomenon as unprecedented in American politics. Trump was elected president in a surprise victory over Democratic nominee Hillary Clinton. He became the oldest and wealthiest person ever to assume the presidency, the first without prior military or government service, and the fifth to have won the election while losing the popular vote. [lower-alpha 2] His election and policies have sparked numerous protests. Many of his comments and actions have been perceived as racially charged or racist. After Trump dismissed FBI Director James Comey, the Justice Department appointed Robert Mueller as special counsel to proceed with investigating links between the Trump campaign and the Russian government regarding its election interference, and any matters arising from the probe. The ongoing investigation has led to guilty pleas by several Trump associates to criminal charges including lying to investigators, campaign finance violations, and tax fraud. Trump has repeatedly denied accusations of collusion and obstruction of justice, calling the investigation a politically motivated "witch hunt". 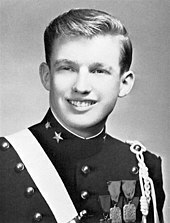 While in college from 1964 to 1968, Trump obtained four student deferments from serving in the military. In 1966, he was deemed fit for service based upon a medical examination and in July 1968, after graduating from college, was briefly classified as eligible to serve by a local draft board. In October 1968, he was given a medical deferment which he later attributed to spurs in both heels, and classified as 1-Y: "Unqualified for duty except in the case of a national emergency." In the December 1969 draft lottery, Trump's birthday, June 14, received a high number which would have given him a low probability to be called to military service even without the 1-Y. In 1972, he was reclassified as 4-F, disqualifying him from service. Trump's father Fred was born in 1905 in the Bronx. Fred started working with his mother in real estate when he was 15, shortly after his father's death. Their company, "E. Trump & Son",[lower-alpha 3] founded in 1923, was primarily active in the New York boroughs of Queens and Brooklyn. Fred eventually built and sold thousands of houses, barracks, and apartments. In spite of his German ancestry, "Fred Trump sought to pass himself off as Swedish amid anti-German sentiment sparked by World War II." Donald Trump "reaffirmed the myth" in The Art of the Deal. Trump has five children by three marriages, as well as nine grandchildren. In 1977, Trump married Czech model Ivana Zelníčková at the Marble Collegiate Church in Manhattan, in a ceremony performed by the Reverend Norman Vincent Peale. They had three children: Donald Jr. (born 1977), Ivanka (born 1981), and Eric (born 1984). Ivana became a naturalized United States citizen in 1988. The couple divorced in 1992, following Trump's affair with actress Marla Maples. In October 1993, Maples gave birth to Trump's daughter, who was named Tiffany in honor of high-end retailer Tiffany & Company. Maples and Trump were married two months later in December 1993. They divorced in 1999, and Tiffany was raised by Marla in California. Having first met in 1998, Trump married his third wife, Slovenian model Melania Knauss, at Bethesda-by-the-Sea Episcopal Church in Palm Beach, Florida, in 2005. In 2006, she gained United States citizenship and gave birth to a son, Barron. Melania became First Lady when Trump took office as president in January 2017. Trump is a Presbyterian. His ancestors were Lutheran on his paternal grandfather's side in Germany and Presbyterian on his mother's side in Scotland. His parents married in a Manhattan Presbyterian church in 1936. As a child, he attended the First Presbyterian Church in Jamaica, Queens, where he had his confirmation. In the 1970s, his parents joined the Marble Collegiate Church in Manhattan, part of the Reformed Church. The pastor at Marble, Norman Vincent Peale, ministered to Trump's family and mentored him until Peale's death in 1993. In August 2015 Trump told reporters, "I am Presbyterian Protestant. I go to Marble Collegiate Church," adding that he attends many different churches because he travels a lot. The Marble Collegiate Church then issued a statement noting that Trump and his family have a "longstanding history" with the church, but that he "is not an active member". Trump does not drink alcohol, a reaction to his older brother Fred Trump Jr.'s alcoholism and early death. He has stated that he has never smoked cigarettes or consumed drugs, including marijuana. In December 2015, Trump's personal physician, Harold Bornstein, released a superlative-laden letter of health which stated that Trump's "physical strength and stamina are extraordinary." Bornstein later said that Trump himself had dictated the contents. A follow-up medical report showed Trump's blood pressure, liver and thyroid functions to be in normal ranges, and that he takes a statin. In January 2018, Trump was examined by White House physician Ronny Jackson, who stated that he was in excellent health and that his cardiac assessment revealed no medical issues, although his weight and cholesterol level were higher than recommended. Several outside cardiologists commented that Trump's weight, lifestyle, and LDL cholesterol level ought to have raised serious concerns about his cardiac health. In February 2019, Trump underwent another physical examination; White House physician Sean Conley said Trump was in "very good health overall", although Trump had gained weight and was now clinically obese. Trump was listed on the initial Forbes List of wealthy individuals in 1982 as having a share of his family's estimated $200 million net worth. His financial losses in the 1980s caused him to be dropped from the list between 1990 and 1995, and reportedly obliged him to borrow from his siblings' trusts in 1993. In its 2018 billionaires ranking, Forbes estimated Trump's net worth at $3.1 billion[lower-alpha 1] (766th in the world, 248th in the U.S.) making him one of the richest politicians in American history. During the three years since Trump announced his presidential run in 2015, Forbes estimated his net worth declined 31% and his ranking fell 138 spots. 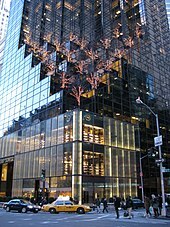 When he filed mandatory financial disclosure forms with the Federal Elections Commission (FEC) in July 2015, Trump claimed a net worth of about $10 billion; however FEC figures cannot corroborate this estimate because they only show each of his largest buildings as being worth over $50 million, yielding total assets worth more than $1.4 billion and debt over $265 million. Trump reported hundreds of millions of dollars of yearly income from 2014 to 2018. Trump stated in a 2007 deposition, "My net worth fluctuates, and it goes up and down with markets and with attitudes and with feelings, even my own feelings." Trump has often said that he began his career with "a small loan of one million dollars" from his father, and that he had to pay it back with interest. In October 2018, The New York Times reported that Trump "was a millionaire by age 8", borrowed at least $60 million from his father, and largely failed to reimburse him, and had received $413 million (adjusted for inflation) from his father's business empire over his lifetime. According to the report, Trump and his family committed tax fraud, which a lawyer for Trump denied; the tax department of New York says it is "vigorously pursuing all appropriate avenues of investigation" into it. Analyses by The Economist and The Washington Post have concluded that Trump's investments have under-performed the stock market. Forbes estimated in October 2018 that the value of Trump's personal brand licensing business had declined by 88% since 2015, to $3 million. Repairs on the Wollman Rink in Central Park, built in 1955, were started in 1980 by a general contractor unconnected to Trump, with an expected ​2 1⁄2-year construction schedule, but were not completed by 1986. Trump took over the project, completed it in three months for $1.95 million, which was $775,000 less than the initial budget, and then operated the rink for one year with some profits going to charity in exchange for the rink's concession rights. According to journalist Joyce Purnick, Trump's "Wollman success was also the stuff of a carefully crafted, self-promotional legend." In 1988 and 1989, Trump hosted WrestleMania IV and V at Boardwalk Hall. He has been an active participant in several WWE shows, most notably at WrestleMania 23 in the corner of Bobby Lashley who competed against Umaga with WWE Chairman Vince McMahon in his corner, in the "Battle of the Billionaires" Hair vs. Hair match, with either Trump or McMahon having their head shaved if their competitor lost. During the match Trump tackled Vince and Lashley defeated Umaga, and along with special guest referee Stone Cold Steve Austin, he and Trump both proceeded to shave McMahon bald. In 2013, he was inducted into the celebrity wing of the WWE Hall of Fame at Madison Square Garden for his contributions to the promotion. Trump uttered "at least one false or misleading claim per day on 91 of his first 99 days" in office according to The New York Times, and 1,318 total in his first 263 days in office according to the "Fact Checker" political analysis column of The Washington Post. By Trump's 759th day in office, the Post's tally exceeded 8,500 false or misleading claims, and—in the seven weeks leading up to the midterm elections—it had risen to an average of 30 per day from 4.9 during his first 100 days in office. The Post found that Trump averaged 15 false statements per day during 2018. Trump makes a statement (begins at 7:20 into the video) on the Unite the Right rally in Charlottesville published by the White House. Throughout his 2016 presidential campaign and his presidency, Trump has repeatedly accused the press of intentionally misinterpreting his words and of being biased, calling them "fake news media" and "the enemy of the people". In the campaign, Trump benefited from a record amount of free media coverage, elevating his standing in the Republican primaries. After winning the election, Trump told journalist Lesley Stahl that he intentionally demeaned and discredited the media "so when you write negative stories about me no one will believe you". Into his presidency, much of the press coverage of Trump and his administration was negative. Trump has privately and publicly mused about taking away critical reporters' White House press credentials (despite, during his campaign, promising not to do so once he became president). On November 8, 2016, Trump received 306 pledged electoral votes versus 232 for Clinton. The official counts were 304 and 227 respectively, after defections on both sides. Trump received a smaller share of the popular vote than Clinton, which made him the fifth person to be elected president while losing the popular vote. [lower-alpha 4] Clinton was ahead nationwide by 2.1 percentage points, with 65,853,514 votes (7001481800000000000♠48.18%) to 62,984,828 votes (7001460900000000000♠46.09%); neither candidate reached a majority. Trump is the wealthiest president in U.S. history, even after adjusting for inflation. He is also the first president without prior government or military service. Of the 43[lower-alpha 5] previous presidents, 38 had held prior elective office, two had not held elective office but had served in the Cabinet, and three had never held public office but had been commanding generals. While campaigning Trump's energy policy advocated domestic support for both fossil and renewable energy sources in order to curb reliance on Middle-Eastern oil and possibly turn the U.S. into a net energy exporter. However, following his election his "America First Energy Plan" did not mention renewable energy and instead focused on fossil fuels. Environmentalists expressed concerns after he announced plans to make large budget cuts to programs that research renewable energy and to roll back Obama-era policies directed at curbing climate change and limiting environmental pollution. In September 2017, Attorney General Jeff Sessions announced that the DACA program would be repealed after six months. Trump argued that "top legal experts" believed that DACA was unconstitutional, and called on Congress to use the six-month delay to pass legislation solving the "Dreamers" issue permanently. As of March 2018[update], when the delay expired, no legislation had been agreed on DACA. Several states immediately challenged the DACA rescission in court. Two injunctions in January and February 2018 allowed renewals of applications and stopped the rolling back of DACA, and in April 2018 a federal judge ordered the acceptance of new applications; this would go into effect in 90 days. On January 25, 2019, Congress passed and Trump signed a 3-week appropriation bill to fund the government while negotiations on border security funding take place. This ended the 31-day shutdown, the longest such shutdown in U.S. history. On February 14 both houses of Congress passed, and on February 15 Trump signed, a bill to fund the government until September 30, the balance of the fiscal year. At the same time he signed a declaration that there is a national emergency at the country's southern border, ordering that funds from drug interdiction programs and military construction projects be used to build barriers along the border. Trump meets Kim Jong-un at the Singapore summit in June 2018. On June 12, 2018, after several rounds of preliminary staff-level meetings, Trump and Kim held a bilateral summit in Singapore. In a joint declaration, both countries vowed to "join their efforts to build a lasting and stable peace regime on the Korean Peninsula", while North Korea repeated its April 2018 promise to "work towards the complete denuclearization of the Korean Peninsula." Six months later, North Korea said they would not cease their nuclear weapons program until the U.S. removes its nuclear threat from the Korean peninsula and "all neighboring areas". Trump announced in his 2019 State of the Union Address that he was planning to hold a second nuclear summit with Kim Jong-un, to take place from February 27–28 in Vietnam. As of the end of 2018, Trump's campaign, transition, inauguration, and presidency, along with his businesses, personal taxes and charitable foundation are being investigated. In January 2018, The New York Times reported that Trump had ordered Mueller to be fired in June 2017, after learning that Mueller was investigating possible obstruction of justice, but backed down after White House Counsel Don McGahn said he would quit; Trump called the report "fake news". The New York Times reported in April 2018 that Trump had again wanted the investigation shut down in early December 2017, but stopped after learning the news reports on which he based his decision were incorrect. In April 2018, following an FBI raid on the office and home of Trump's private attorney Michael Cohen, Trump mused aloud about firing Mueller. In August 2018, Trump wrote that Attorney General Jeff Sessions "should stop" the special counsel investigation "right now"; he also referred to it as a "rigged witch hunt". In January 2018 it was reported that Mueller wants to interview Trump about the removal of Flynn and Comey. For most of 2018 there was discussion between Mueller's office and White House attorneys about whether Trump would give Mueller an in-person interview or written answers to questions, and what subjects would be covered. Trump himself said publicly he was willing to be interviewed. In November 2018 he said he was preparing written answers to a set of questions, and in late November his legal team said he had submitted answers to the counsel's written questions about "issues regarding the Russia-related topics of the inquiry." As of February 2019, Trump has publicly criticized people or groups related to the investigations into links between Trump associates and Russia over 1,000 times during his presidency. The five Trump associates who have pleaded guilty or have been convicted in Mueller's investigation or related cases include Paul Manafort, Rick Gates, George Papadopoulos, Michael Flynn, and Michael Cohen. The charges against them were not related to collusion with Russia. On January 25, 2019, Trump adviser Roger Stone was arrested at his home in Fort Lauderdale, Florida, and indicted on seven criminal charges. Trump signaled his intention to run for a second term by filing with the FEC within hours of assuming the presidency. This transformed his 2016 election committee into a 2020 reelection one. Trump marked the official start of the campaign with a rally in Melbourne, Florida, on February 18, 2017, less than a month after taking office. By January 2018, Trump's reelection committee had $22 million in hand and it had raised a total amount exceeding $50 million towards the 2020 campaign as of July 2018[update]. 1 2 This estimate is by Forbes in their annual ranking. Bloomberg Billionaires Index listed Trump's net worth as $2.48 billion on May 31, 2018, and Wealth-X listed it as at least $3.8 billion on July 16, 2018. 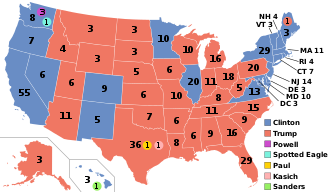 ↑ Presidential elections in the United States are decided by the Electoral College, in which each state names a number of electors proportional to its representation in Congress, and all delegates from each state are bound to vote for the winner of the local state vote. Consequently, it is possible for the president-elect to have received fewer votes from the country's total population (the popular vote). This situation has occurred five times since 1824. ↑ Some modern sources, including Donald Trump's The Art of the Deal, refer to the company as "Elizabeth Trump & Son." Contemporary sources, however, refer to it as "E. Trump & Son." ↑ Records on this matter date from the year 1824. The number "five" includes the elections of 1824, 1876, 1888, 2000, and 2016. Despite their similarities, some of these five elections had peculiar results; e.g. John Quincy Adams trailed in both the national popular vote and the electoral college in 1824 (since no-one had a majority in the electoral college, Adams was chosen by the House of Representatives), and Samuel Tilden in 1876 remains the only losing candidate to win an actual majority of the popular vote (rather than just a plurality). ↑ Grover Cleveland was the 22nd and 24th president. ↑ "Certificate of Birth". Department of Health – City of New York – Bureau of Records and Statistics. Archived from the original on May 12, 2016. Retrieved October 23, 2018 – via ABC News. ↑ "Certificate of Birth: Donald John Trump" (PDF). The Jamaica Hospital. Archived (PDF) from the original on April 9, 2011. Retrieved October 23, 2018 – via Fox News. ↑ Rozhon, Tracie (June 26, 1999). "Fred C. Trump, Postwar Master Builder of Housing for Middle Class, Dies at 93". The New York Times. Retrieved October 3, 2018. ↑ Kranish & Fisher 2017, p. 32. ↑ Horowitz, Jason (September 22, 2015). "Donald Trump's Old Queens Neighborhood Contrasts With the Diverse Area Around It". The New York Times. Retrieved November 7, 2018. 1 2 Kranish & Fisher 2017, p. 45. ↑ The 75th Anniversary Shrapnel. NYMA. Spring 1964. p. 107. Archived from the original on January 22, 2017. Retrieved January 21, 2017. ↑ Kranish & Fisher 2017, p. 31, 37. ↑ Schwartzman, Paul; Miller, Michael E. (June 22, 2016). "Confident. Incorrigible. Bully: Little Donny was a lot like candidate Donald Trump". The Washington Post. Retrieved April 2, 2017. 1 2 3 Viser, Matt (August 28, 2015). "Even in college, Donald Trump was brash". The Boston Globe. Retrieved May 28, 2018. ↑ Blair 2005, p. 16. ↑ Ehrenfreund, Max (September 3, 2015). "The real reason Donald Trump is so rich". The Washington Post. Retrieved January 17, 2016. ↑ "The Best Known Brand Name in Real Estate". The Wharton School. Spring 2007. Retrieved April 2, 2017. ↑ "Two Hundred and Twelfth Commencement for the Conferring of Degrees" (PDF). University of Pennsylvania. May 20, 1968. ↑ Lee, Kurtis (August 4, 2016). "How deferments protected Donald Trump from serving in Vietnam". Los Angeles Times. Retrieved August 4, 2016. ↑ Montopoli, Brian (April 29, 2011). "Donald Trump avoided Vietnam with deferments, records show". CBS News. Retrieved July 17, 2015. 1 2 Whitlock, Craig (July 21, 2015). "Questions linger about Trump's draft deferments during Vietnam War". The Washington Post. Retrieved April 2, 2017. 1 2 Eder, Steve; Philipps, Dave (August 1, 2016). "Donald Trump's Draft Deferments: Four for College, One for Bad Feet". The New York Times. Retrieved August 2, 2016. ↑ Goldman, Russell (April 29, 2011). "Donald Trump's Own Secret: Vietnam Draft Records". ABC News. Retrieved August 1, 2016. ↑ Emery, David (August 2, 2016). "Donald Trump's Draft Deferments". Snopes.com. Retrieved October 16, 2018. 1 2 Panetta, Alexander (September 19, 2015). "Donald Trump's grandfather ran Canadian brothel during gold rush". CBC News. Retrieved December 10, 2015. ↑ Kranish & Fisher 2017, p. 23–25. 1 2 Blair 2015a, p. 5. ↑ Trump, Donald; Schwartz, Tony (1987). The Art of the Deal. Random House. p. 67. ISBN 978-0-345-47917-4. ↑ Knight, Gladys L. (August 11, 2014). Pop Culture Places: An Encyclopedia of Places in American Popular Culture. ABC-CLIO. p. 874. ISBN 978-0-313-39883-4. ↑ "Advertisement for E. Trump & Son". Brooklyn Daily Eagle. November 6, 1927. p. D3 – via Newspapers.com. ↑ "Real estate news". Brooklyn Daily Eagle. May 5, 1930. p. 8 – via Newspapers.com. ↑ Blair, Gwenda (December 4, 2001). The Trumps: Three Generations That Built an Empire. p. 120. ISBN 978-0-7432-1079-9. ↑ Blair, Gwenda (August 24, 2015). "The Man Who Made Trump Who He Is". Politico. Retrieved July 24, 2016. 1 2 Hansler, Jennifer (November 28, 2017). "Trump's family denied German heritage for years". CNN. ↑ Carlström, Vilhelm (November 28, 2017). "Donald Trump claimed he was of Swedish ancestry – but it's a lie". Business Insider. ↑ Horowitz, Jason (August 21, 2016). "For Donald Trump's Family, an Immigrant's Tale With 2 Beginnings". The New York Times. 1 2 Pilon, Mary (June 24, 2016). "Donald Trump's Immigrant Mother". The New Yorker. Retrieved April 2, 2017. ↑ McGrane, Sally (April 29, 2016). "The Ancestral German Home of the Trumps". The New Yorker. Retrieved April 2, 2017. ↑ Mannion, Cara (February 3, 2017). "3rd Circ. Judge, Trump's Sister, Stops Hearing Cases". Law360. Retrieved April 2, 2017. ↑ Puente, Maria (September 12, 2017). "Eric and Lara Trump announce birth of son, POTUS' ninth grandchild". USA Today. Retrieved September 12, 2017. ↑ "Trump's daughter, Ivanka, gives birth to third child". Fox News. Associated Press. March 27, 2016. Retrieved March 28, 2016. ↑ Brenner, Marie (September 1990). "After The Gold Rush". Vanity Fair. Retrieved January 10, 2016. They were married in New York during Easter of 1977. Mayor Beame attended the wedding at Marble Collegiate Church. Donald had already made his alliance with Roy Cohn, who would become his lawyer and mentor. 1 2 Barron, James (September 5, 2016). "Overlooked Influences on Donald Trump: A Famous Minister and His Church". The New York Times. Retrieved October 13, 2016. Mr. Trump married his first wife, Ivana, at Marble, in a ceremony performed by one of America's most famous ministers, the Rev. Norman Vincent Peale. ↑ "Ivana Trump becomes U.S. citizen". The Lewiston Journal. Associated Press. May 27, 1988. Retrieved August 21, 2015 – via Google News. ↑ "Ivana Trump to write memoir about raising US president's children". The Guardian. Associated Press. March 16, 2017. Retrieved May 6, 2017. ↑ Graham, Ruth (July 20, 2016). "Tiffany Trump's Sad, Vague Tribute to Her Distant Father". Slate. Retrieved July 24, 2016. ↑ "The Donald Bids Hearts For Marla Trump Wedding Draws 1,100 Friends, But Not Many Stars". The Philadelphia Inquirer. December 21, 1993. Archived from the original on December 22, 2015. Retrieved August 21, 2015. ↑ Baylis, Sheila Cosgrove (August 7, 2013). "Marla Maples Still Loves Donald Trump". People. Retrieved May 6, 2017. ↑ Stanley, Alessandra (October 1, 2016). "The Other Trump". The New York Times. Retrieved May 6, 2017. ↑ Waterson, Jim (January 26, 2019). "Telegraph apologises and pays damages to Melania Trump". The Guardian. Retrieved January 27, 2019. ↑ Brown, Tina (January 27, 2005). "Donald Trump, Settling Down". The Washington Post. Retrieved May 7, 2017. ↑ Charles, Marissa (August 16, 2015). "Melania Trump would be a first lady for the ages". The New York Post. Retrieved May 4, 2017. ↑ Choron, Harry; Choron, Sandy (2011). Money. Chronicle Books. p. 251. ISBN 978-1-4521-0559-8. ↑ "Donald Trump Fast Facts". CNN. March 7, 2014. Retrieved March 10, 2015. ↑ Flegenheimer, Matt; Barbaro, Michael (November 9, 2016). "Donald Trump Is Elected President in Stunning Repudiation of the Establishment". The New York Times. Retrieved September 1, 2017. ↑ Lipton, Eric; Craig, Susanne (February 12, 2017). "Trump Sons Forge Ahead Without Father, Expanding and Navigating Conflicts". The New York Times. Retrieved May 7, 2017. ↑ V.v.B (March 31, 2017). "Ivanka Trump's new job". The Economist. Retrieved April 3, 2017. ↑ Schmidt, Michael S.; Lipton, Eric; Savage, Charlie (January 21, 2017). "Jared Kushner, Trump's Son-in-Law, Is Cleared to Serve as Adviser". The New York Times. Retrieved May 7, 2017. 1 2 Scott, Eugene (July 19, 2015). "Trump believes in God, but hasn't sought forgiveness". CNN. Retrieved April 3, 2017. ↑ Glueck, Katie (December 7, 2016). "Trump's religious dealmaking pays dividends". Politico. Retrieved April 3, 2017. Trump is a Presbyterian, and speculation is already underway over whether, and where, he might go to church regularly in Washington. ↑ Mattera, Jason (March 14, 2011). "Trump Unplugged". Human Events. Archived from the original on March 16, 2011. Retrieved March 16, 2011. I am a Protestant. I am a Presbyterian within the Protestant group and I go to Church as much as I can. ↑ Blair 2015b, p. 28–29. ↑ Geoghegan, Peter (May 28, 2016). "Few rooting for Donald Trump on his mother's Scottish island". The Irish Times. Retrieved April 3, 2017. ↑ Kranish & Fisher 2017, p. 29. 1 2 Schwartzman, Paul (January 21, 2016). "How Trump got religion – and why his legendary minister's son now rejects him". The Washington Post. Retrieved March 18, 2017. 1 2 Blair, Leonardo (August 28, 2015). "Marble Collegiate Church Says Donald Trump Is Not an Active Member". The Christian Post. Retrieved October 10, 2018. ↑ Kranish & Fisher 2017, p. 81. ↑ Scott, Eugene (August 28, 2018). "Church says Donald Trump is not an 'active member'". CNN. Retrieved October 10, 2018. ↑ Weigel, David (August 11, 2015). 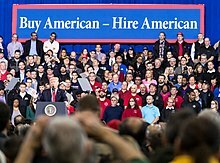 "In Michigan, Trump attacks China, critiques auto bailout, and judges Bernie Sanders 'weak'". The Washington Post. Retrieved August 22, 2015. ↑ Haberman, Maggie; Kaplan, Thomas (January 18, 2016). "Evangelicals See Donald Trump as Man of Conviction, if Not Faith". The New York Times. Retrieved April 3, 2017. ↑ Burke, Daniel (October 24, 2016). "The guilt-free gospel of Donald Trump". CNN. Retrieved January 17, 2017. ↑ "Trump campaign announces evangelical executive advisory board" (Press release). Donald J. Trump for President, Inc. June 21, 2016. Archived from the original on January 18, 2017. Retrieved January 17, 2017. ↑ "Who's Who of Trump's 'Tremendous' Faith Advisers". Christianity Today. Retrieved May 10, 2018. ↑ McAfee, Tierney (October 8, 2015). "Donald Trump Opens Up About His Brother's Death from Alcoholism: It Had a "Profound Impact on My Life"". People. [T]here are a few hard and fast principles that he himself lives by: no drugs, no cigarettes and no alcohol. Trump's abstinence from alcohol was largely shaped by the death of his brother, Fred Jr., from alcoholism in 1981. ↑ "Part 2: Donald Trump on 'Watters' World'". Watters' World. Fox News. February 6, 2016. Retrieved September 4, 2016. WATTERS: "Have you ever smoked weed?" TRUMP: "No, I have not. I have not. I would tell you 100 percent because everyone else seems to admit it nowadays, so I would actually tell you. This is almost like, it's almost like 'Hey, it's a sign'. No, I have never. I have never smoked a cigarette, either." ↑ Herreria, Carla (May 1, 2018). "Trump's Doctor Says Trump Basically Wrote That Glowing Health Letter: Report". HuffPost. Retrieved October 10, 2018. ↑ Bornstein, Harold (December 4, 2015). "Statement on Donald J. Trump record of health" (PDF). Archived from the original (PDF) on February 4, 2016. Retrieved June 3, 2018. ↑ Marquardt, Alex; Crook, Lawrence III (May 1, 2018). "Bornstein claims Trump dictated the glowing health letter". CNN. Retrieved May 20, 2018. ↑ Frizell, Sam (September 15, 2016). "Donald Trump's Doctor's Letter Reveals He is Overweight, But 'In Excellent Health'". Time. Retrieved April 3, 2017. ↑ Altman, Lawrence K. (September 18, 2016). "A Doctor's Assessment of Whether Donald Trump's Health Is 'Excellent'". The New York Times. Retrieved October 20, 2017. ↑ Barclay, Eliza; Belluz, Julia (January 16, 2018). "Trump's first full presidential physical exam, explained". Vox. Retrieved January 18, 2017. ↑ Ducharme, Jamie (January 17, 2018). "The White House Doctor Called President Trump's Health 'Excellent.' Here's the Full Summary of His Physical Exam". Time. Retrieved January 18, 2018. ↑ Shear, Michael D.; Kolata, Gina (January 17, 2018). "Trump's Physical Revealed Serious Heart Concerns, Outside Experts Say". The New York Times. Retrieved June 3, 2018. ↑ Howard, Jacqueline; Liptak, Kevin (February 14, 2019). "Trump in 'very good health overall' but obese, according to physical exam results". CNN. Retrieved February 15, 2019. ↑ O'Brien, Timothy L. (October 23, 2005). "What's He Really Worth?". The New York Times. Retrieved February 25, 2016. ↑ "Bloomberg Billionaires Index – Donald Trump". Bloomberg News. May 31, 2018. Retrieved July 16, 2018. ↑ "Donald John Trump – Wealth-X Dossiersier". Wealth-X. Retrieved July 16, 2018. ↑ "The World's Billionaires – No. 766 Donald Trump". Forbes. 2018. Retrieved March 7, 2018. ↑ Walsh, John (October 3, 2018). "Trump has fallen 138 spots on Forbes' wealthiest-Americans list, his net worth down over $1 billion, since he announced his presidential bid in 2015". Business Insider. Retrieved October 3, 2018. 1 2 Lewandowski, Corey R.; Hicks, Hope (July 15, 2015). "Donald J. Trump Files Personal Financial Disclosure Statement With Federal Election Commission" (PDF). Archived from the original (PDF) on March 9, 2016. Retrieved March 8, 2016. 1 2 "Donald Trump wealth details released by federal regulators". Yahoo! News. Archived from the original on August 1, 2015. Retrieved August 9, 2015. 1 2 3 Alesci, Cristina; Frankel, Laurie; Sahadi, Jeanne (May 19, 2016). "A peek at Donald Trump's finances". CNN. Retrieved May 20, 2016. ↑ Harwood, John (June 29, 2018). "Trump's money-making power as unprecedented as his words". CNBC. Retrieved December 21, 2018. ↑ Fahrenthold, David A.; O'Harrow, Robert Jr. (August 10, 2016). "Trump: A True Story". The Washington Post. Retrieved October 14, 2018. ↑ Greenberg, Jonathan (April 20, 2018). "Trump lied to me about his wealth to get onto the Forbes 400. Here are the tapes". The Washington Post. ↑ Stump, Scott (October 26, 2015). "Donald Trump: My dad gave me 'a small loan' of $1 million to get started". CNBC. Retrieved November 13, 2016. ↑ Barstow, David; Craig, Susanne; Buettner, Russ (October 2, 2018). "11 Takeaways From The Times's Investigation Into Trump's Wealth". The New York Times. Retrieved October 3, 2018. ↑ Barstow, David; Craig, Susanne; Buettner, Russ (October 2, 2018). "Trump Engaged in Suspect Tax Schemes as He Reaped Riches From His Father". The New York Times. Retrieved October 2, 2018. ↑ Campbell, Jon; Spector, Joseph (October 3, 2018). "New York could levy hefty penalties if Trump tax fraud is proven". USA Today. Retrieved October 5, 2018. 1 2 Woodward, Calvin; Pace, Julie (December 16, 2018). "Scope of investigations into Trump has shaped his presidency". Associated Press. Retrieved December 19, 2018. ↑ "From the Tower to the White House". The Economist. February 20, 2016. Retrieved February 29, 2016. Mr Trump's performance has been mediocre compared with the stockmarket and property in New York. ↑ Swanson, Ana (February 29, 2016). "The myth and the reality of Donald Trump's business empire". The Washington Post. ↑ Breuninger, Kevin (October 2, 2018). "Trump tumbles down the Forbes 400 as his net worth takes major hit". CNBC. Retrieved January 4, 2019. ↑ Trump & Schwartz 2009, p. 46. 1 2 Mahler, Jonathan; Eder, Steve (August 27, 2016). "'No Vacancies' for Blacks: How Donald Trump Got His Start, and Was First Accused of Bias". The New York Times. Retrieved January 13, 2018. ↑ Korte, Gregory (September 1, 2002). "Complex was troubled from beginning". The Cincinnati Enquirer. Retrieved May 20, 2018. 1 2 3 Kelly, Meg (February 28, 2018). "The tall tale of President Trump's Cincinnati 'success'". The Washington Post. Retrieved May 19, 2018. ↑ Blair 2005, p. 23. ↑ Kelly, Conor (July 27, 2015). "Meet Donald Trump: Everything You Need To Know (And Probably Didn't Know) About The 2016 Republican Presidential Candidate". ABC News. ↑ Kessler, Glenn (March 3, 2016). "Trump's false claim he built his empire with a 'small loan' from his father". The Washington Post. ↑ Kranish & Fisher 2017, p. 84. ↑ Wooten 2009, p. 32–35. ↑ Geist, William (April 8, 1984). "The Expanding Empire of Donald Trump". The New York Times. ↑ Dohan, William C. (September 28, 2015). "Decades-Old Questions Over Trump's Wealth and Education". The New York Times. Retrieved June 9, 2018. ↑ Kranish & Fisher 2017, p. 86–88. ↑ Flegenheimer, Matt; Haberman, Maggie (March 29, 2016). "With the New York Presidential Primary, the Circus Is Coming Home". The New York Times. Retrieved March 29, 2016. ↑ Burns, Alexander (December 9, 2016). "Donald Trump Loves New York. But It Doesn't Love Him Back". The New York Times. Retrieved December 9, 2016. ↑ Kranish & Fisher 2017, p. 95. ↑ Goldberger, Paul (April 4, 1983). "Architecture: Atrium of Trump Tower is a Pleasant Surprise". The New York Times. ↑ Freedlander, David (September 29, 2015). "A 1980s New York City Battle Explains Donald Trump's Candidacy". Bloomberg News. Retrieved October 23, 2016. ↑ Lyman, Rick (November 1, 1986). "Faster and cheaper, Trump finishes N.Y.C. ice rink". The Philadelphia Inquirer. Archived from the original on November 4, 2014. Retrieved February 27, 2014. ↑ Fahrenthold, David A. (October 29, 2016). "Trump boasts about his philanthropy. But his giving falls short of his words". The Washington Post. Retrieved July 3, 2018. ↑ Purnick, Joyce (May 1, 2011). "The Donald Trump we know (and don't love): He's riding high in polls, but NYC's seen his bad side". New York Daily News. Retrieved May 10, 2018. ↑ Wooten 2009, p. 65–66. ↑ Kranish & Fisher 2017, p. 190. ↑ Stout, David; Gilpin, Kenneth (April 12, 1995). "Trump Is Selling Plaza Hotel To Saudi and Asian Investors". The New York Times. Retrieved May 6, 2017. ↑ Dunlap, David W. (July 17, 1994). "For a Troubled Building, a New Twist". The New York Times. Retrieved November 18, 2016. ↑ Muschamp, Herbert (June 21, 1995). "Trump Tries to Convert 50's Style into 90's Gold; Makeover Starts on Columbus Circle Hotel". The New York Times. Retrieved January 18, 2017. ↑ Wooten 2009, p. 108. ↑ Wooten 2009, p. 81–82. ↑ Bagli, Charles V. (June 1, 2005). "Trump Group Selling West Side Parcel for $1.8 billion". The New York Times. Retrieved May 17, 2016. 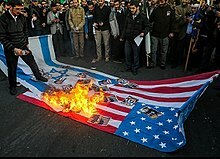 ↑ Elstein, Aaron (April 17, 2016). "Trump's lost Empire: The deal that marked the Donald's turn from New York real estate". Crain's New York Business. ↑ Pacelle 2001, p. 18. ↑ "Trump World Tower". Emporis. Retrieved May 22, 2008. ↑ Wooten 2009, p. 86–87. ↑ Peterson-Withorn, Chase (April 23, 2018). "Donald Trump Has Gained More Than $100 Million On Mar-a-Lago". Forbes. Retrieved July 4, 2018. ↑ "Trump Fights Property Taxes". Associated Press. March 29, 1988. Retrieved July 4, 2018. ↑ Dangremond, Sam (December 22, 2017). "A History of Mar-a-Lago, Donald Trump's American Castle". townandcountrymag.com. Retrieved July 3, 2018. 1 2 Luongo, Michael (November 2017). "The Ironic History of Mar-a-Lago". Smithsonian. Retrieved December 9, 2017. ↑ Jordan, Mary; Helderman, Rosalind S. (October 14, 2015). "Inside Trump's Palm Beach castle and his 30-year fight to win over the locals". The Washington Post. Retrieved July 4, 2018. ↑ Lee, Robert. "How Do Golf Initiation Fees Work?". Golfweek. Retrieved July 4, 2018. ↑ Kranish & Fisher 2017, p. 161. ↑ Dangremond, Sam (October 9, 2017). "Here's What We Know About the Membership of Mar-a-Lago". Town&Country. Retrieved July 4, 2018. ↑ Frank, Robert (January 25, 2017). "Mar-a-Lago membership fee doubles to $200,000". CNBC. Retrieved July 4, 2018. ↑ Wooten 2009, p. 57–58. ↑ Kranish & Fisher 2017, p. 128. ↑ "Trump Stake in Holiday". The New York Times. September 5, 1986. Retrieved May 31, 2017. ↑ Crudele, John (November 13, 1986). "Holiday Corp. Plans Restructuring". The New York Times. Retrieved May 31, 2017. ↑ Wooten 2009, p. 59–60. ↑ Kranish & Fisher 2017, p. 137. ↑ Cuff, Daniel (December 18, 1988). "Seven Acquisitive Executives Who Made Business News in 1988: Donald Trump – Trump Organization; The Artist of the Deal Turns Sour into Sweet". The New York Times. Retrieved May 27, 2011. ↑ Glynn, Lenny (April 8, 1990). "Trump's Taj – Open at Last, With a Scary Appetite". The New York Times. Retrieved August 14, 2016. ↑ Parry, Wayne (May 20, 2016). "New owner wants to make Trump's Taj Mahal casino great again". PBS NewsHour. Associated Press. Retrieved August 14, 2016. 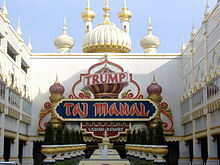 ↑ "Trump reaches agreement with bondholders on Taj Mahal". United Press International. April 9, 1991. Retrieved March 21, 2016. ↑ Kranish & Fisher 2017, p. 135. ↑ Bingham, Amy (April 21, 2011). "Donald Trump's Companies Filed for Bankruptcy 4 Times". ABC News. Retrieved February 20, 2015. ↑ "Taj Mahal is out of Bankruptcy". The New York Times. October 5, 1991. Retrieved May 22, 2008. ↑ Hylton, Richard (May 11, 1990). "Trump Is Reportedly Selling Yacht". The New York Times. Retrieved July 3, 2018. ↑ Schneider, Karen S. (May 19, 1997). "The Donald Ducks Out". People. Retrieved September 10, 2015. ↑ Kranish & Fisher 2017, p. 132–133. ↑ Norris, Floyd (June 7, 1995). "Trump Plaza casino stock trades today on Big Board". The New York Times. Retrieved December 14, 2014. ↑ McQuade, Dan (August 16, 2015). "The Truth About the Rise and Fall of Donald Trump's Atlantic City Empire". Philadelphia. Retrieved March 21, 2016. ↑ "How Donald Trump Made Millions Off His Biggest Business Failure". Fortune. Retrieved May 6, 2018. ↑ Garcia, Ahiza (December 29, 2016). "Trump's 17 golf courses teed up: Everything you need to know". CNNMoney. Retrieved January 21, 2018. ↑ "Donald Trump Personal Financial Disclosure Form 2015" (PDF). The Washington Post. July 15, 2015. 1 2 "Donald Trump: King of Clubs". Golf. February 21, 2007. Retrieved August 5, 2018. ↑ DiMeglio, Steve (March 3, 2015). "Donald Trump brings new life to world of golf". USA Today. Retrieved July 21, 2018. ↑ Beall, Joel (March 20, 2017). "President Trump appears to still really like golf, makes 11th trip to course in eight weeks in office". Retrieved July 21, 2018. ↑ Cillizza, Chris (January 3, 2018). "Donald Trump's huge golf hypocrisy". CNN. Retrieved July 21, 2018. ↑ Wang, Jennifer (March 20, 2017). "From Manila to Hawaii, Meet The Licensing Partners Who Paid Trump The Most". Forbes. Retrieved May 6, 2017. ↑ Blankfeld, Keren. "Donald Trump on His Brand Value: Forbes' Numbers Are Ridiculous". Forbes. ↑ Williams, Aaron; Narayanswamy, Anu (January 25, 2017). "How Trump has made millions by selling his name". Retrieved December 12, 2017. ↑ Anthony, Zane; Sanders, Kathryn; Fahrenthold, David A. (April 13, 2018). "Whatever happened to Trump neckties? They're over. So is most of Trump's merchandising empire". The Washington Post. ↑ "Dive into Donald Trump's thousands of lawsuits". USA Today. Retrieved April 17, 2018. ↑ Penzenstadler, Nick; Page, Susan (June 2, 2016). "Exclusive: Trump's 3,500 lawsuits unprecedented for a presidential nominee". USA Today. Retrieved June 2, 2016. About 100 additional disputes centered on other issues at the casinos. Trump and his enterprises have been named in almost 700 personal-injury claims and about 165 court disputes with government agencies ... Due to his branding value, Trump is determined to defend his name and reputation. ↑ Savransky, Rebecca (June 2, 2016). "Trump brags about winning record in lawsuits". The Hill. ↑ Hylton, Richard D. (June 27, 1990). "Banks Approve Loans for Trump, But Take Control of His Finances". The New York Times. Retrieved October 13, 2018. 1 2 Flitter, Emily (July 17, 2016). "Art of the spin: Trump bankers question his portrayal of financial comeback". Reuters. Retrieved October 14, 2018. ↑ Hood, Bryan (June 29, 2015). "4 Times Donald Trump's Companies Declared Bankruptcy". Vanity Fair. Retrieved January 17, 2016. ↑ Li, Hao (April 12, 2011). "Donald Trump Questioned on His Bankruptcies". International Business Times. Retrieved February 19, 2015. ↑ Stone, Peter (May 5, 2011). "Donald Trump's lawsuits could turn off conservatives who embrace tort reform". The Center for Public Integrity. Retrieved March 14, 2016. ↑ Kurtz, Howard (April 24, 2011). "Kurtz: The Trump Backlash". Newsweek. Retrieved March 14, 2016. ↑ Winter, Tom. "Trump Bankruptcy Math Doesn't Add Up". NBC News. Retrieved October 8, 2016. ↑ O'Connor, Clare (April 29, 2011). "Fourth Time's A Charm: How Donald Trump Made Bankruptcy Work For Him". Forbes. Retrieved February 19, 2015. ↑ Smith, Allan (December 8, 2017). "Trump's long and winding history with Deutsche Bank could now be at the center of Robert Mueller's investigation". Business Insider. Retrieved October 14, 2018. ↑ Zurcher, Anthony (July 23, 2015). "Five take-aways from Donald Trump's financial disclosure". BBC. Retrieved January 17, 2016. 1 2 Markazi, Arash (July 14, 2015). "5 things to know about Donald Trump's foray into doomed USFL". ESPN. ↑ Morris, David (September 24, 2017). "Donald Trump Fought the NFL Once Before. He Got Crushed". Fortune. Retrieved June 22, 2018. ↑ "Trump Gets Tyson Fight". The New York Times. February 25, 1988. Retrieved February 11, 2011. ↑ Anderson, Dave (July 12, 1988). "Sports of The Times; Trump: Promoter Or Adviser?". The New York Times. Retrieved February 11, 2011. ↑ Hogan, Kevin (April 10, 2016). "The Strange Tale of Donald Trump's 1989 Biking Extravaganza". Politico. Retrieved April 12, 2016. ↑ "Trump Sells Miss Universe Organization to WME-IMG Talent Agency". The New York Times. September 15, 2015. Retrieved January 9, 2016. ↑ "Donald Trump just sold off the entire Miss Universe Organization". Business Insider. September 14, 2015. Retrieved May 6, 2016.